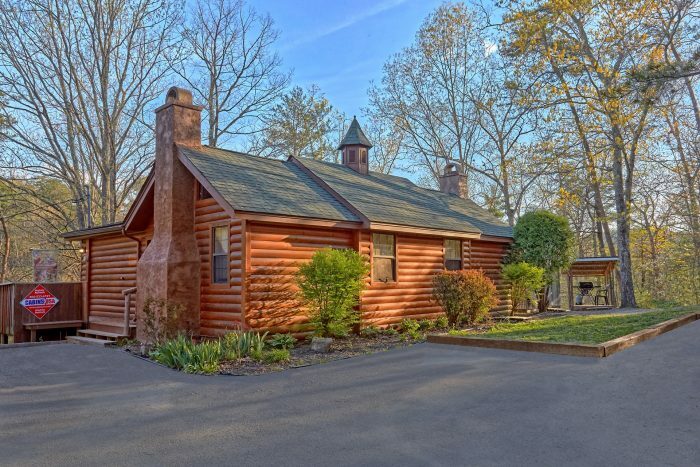 Enjoy both a comfortable cabin retreat and a convenient location at "A Bear's End," a 2-bedroom cabin off the Pigeon Forge Parkway! 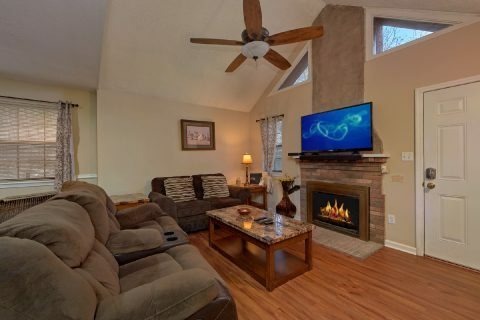 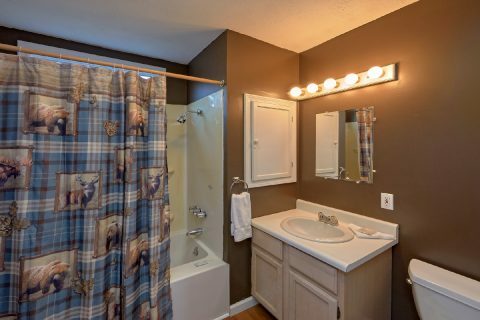 Up to 5 guests can enjoy a quaint cabin home away from home as well as a location close to all the shopping, dining, and entertainment of Pigeon Forge! 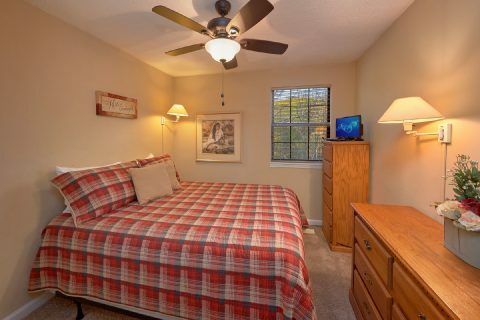 Your cabin places you in an ideal location just off the Pigeon Forge Parkway, where's there's plenty of adventure to be had on your Smoky Mountain Vacation. 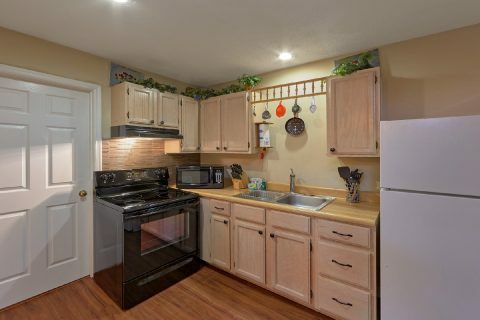 Enjoy shopping at the Island, a classic Pigeon Forge dinner show like Dolly's Stampede, or a favorite restaurant like The Old Mill. 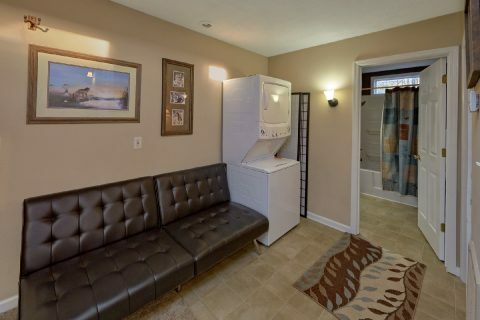 No matter what you want to do your cabin places you at the heart of all the action! 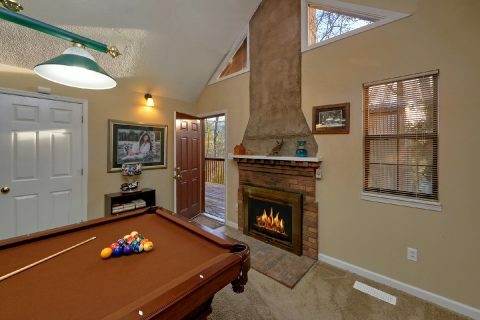 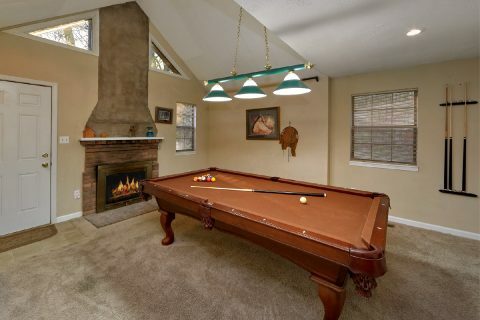 Back at your cozy cabin, you can enjoy many comfortable amenities such as cable TV, a gas fireplace, WiFi internet, and pool table. 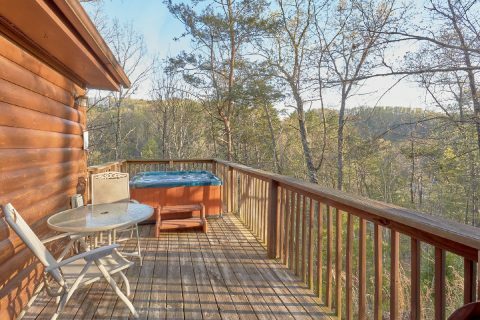 There's also plenty of space on your cabin's deck to enjoy the great outdoors. 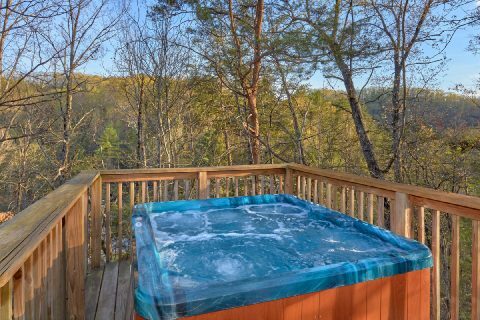 Relax in the soothing waters of your hot tub or enjoy a cook-out on your cabin's gas grill. 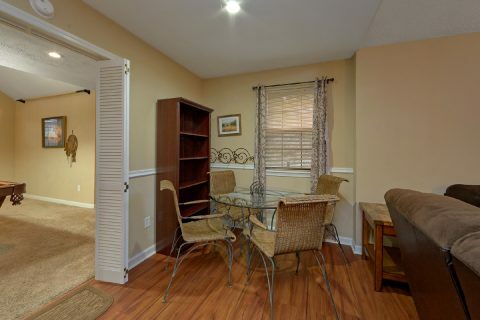 After spending an unforgettable day on the action-packed Parkway, you can rest up for another day of adventure in one of this home's 2 bedrooms. 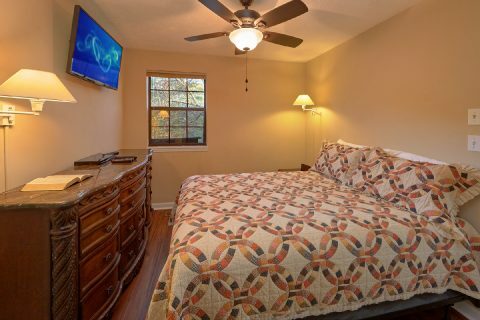 Each bedroom features a comfortable queen bed for a great night's sleep in the Smokies, while the small futon in the game room provides sleeping space for an additional person. 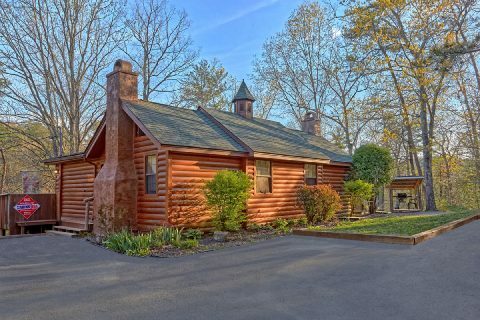 Book "A Bear's End" today and enjoy a 15% online booking discount on this comfortable and convenient 2-bedroom cabin off the Pigeon Forge Parkway.